Curated by Ornella Fazzina in collaboration with Carmela Cirinnà, the exhibition is sponsored by the City of Noto, organized by NotArte Associated Artists, Studio Barnum Contemporary by Vincenzo Medica and coordinated by Paolo Greco. This is a selection of paintings, documented by photographic reports and critical writings related. Sixty years of extraordinary activity by the famous artist. Born in Paternò, a town nearby Etna, Enzo Indaco currently lives and works between Catania and Taormina. A long and intense artistic journey: between the 50s and the 60s he was among the forerunners of Land Art in Italy; at the beginning of the 70s he explored the world of painting using explosions of warm colors typical of the island landscapes. Following the “picchettìo” of the brushes, the delicate score, the use of pastels and the soft figurative cross his creativity. 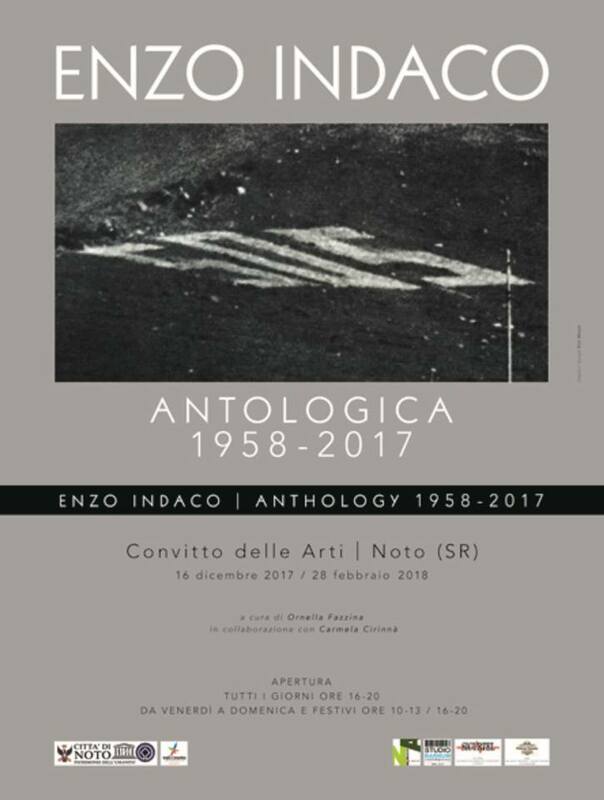 In the 80s Indaco is protagonist during the National Quadrennial of Art in Rome, in some important editions of the Venice Biennale, at the “International Art” of Basel and at the “73 Art” of New York. In the ’90s the apparent stasis of the artist represents a moment of great reflection, which ends up at the beginning of the new millennium in the recovery of the mythological and ritual cult of the Sicilian land. The exhibition will be open to the public until February 28: Monday to Thursday from 4 to 8 pm; from Friday to Sunday (including holiday time) from 10am to 1pm and from 4 to 8pm.